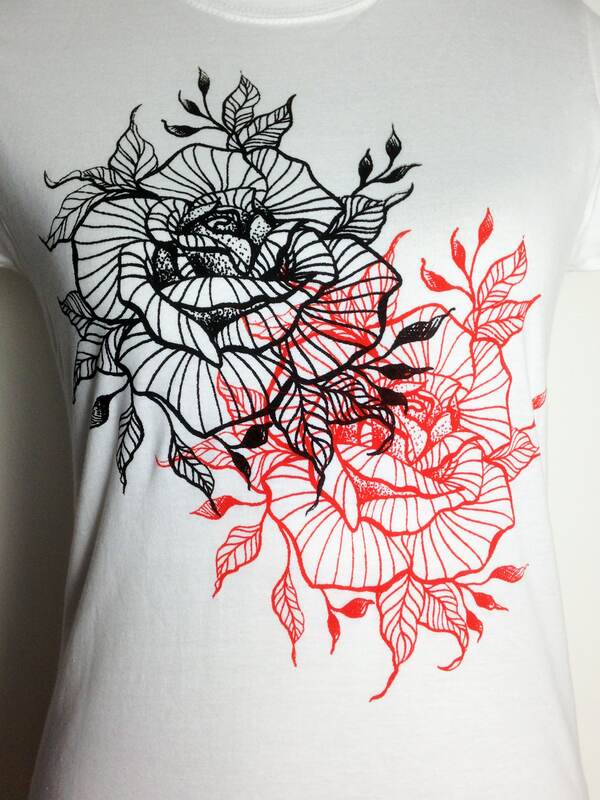 I have created the design and printed onto the fabric with screenprinting method using red and black fabric ink. 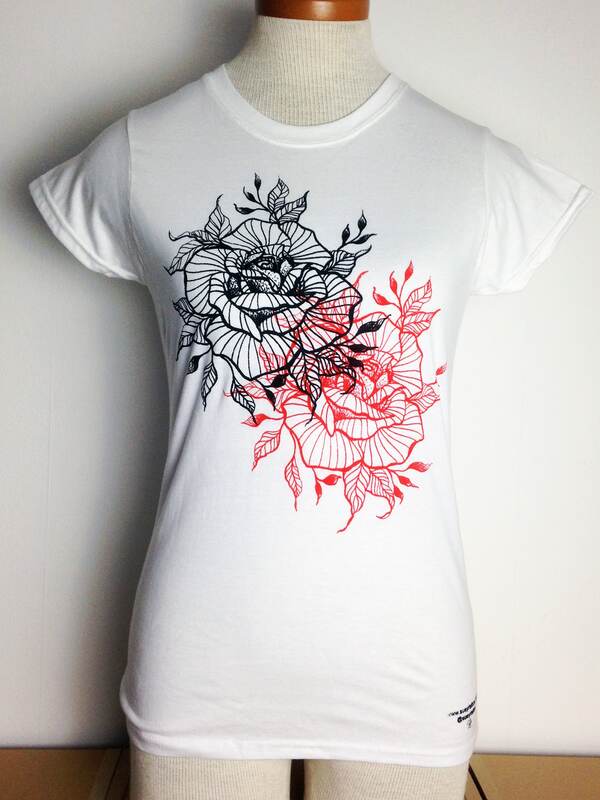 Please note that it is a one of a kind printed Tshirt as I hand print them. The placement of the two roses can slightly differ in each item.